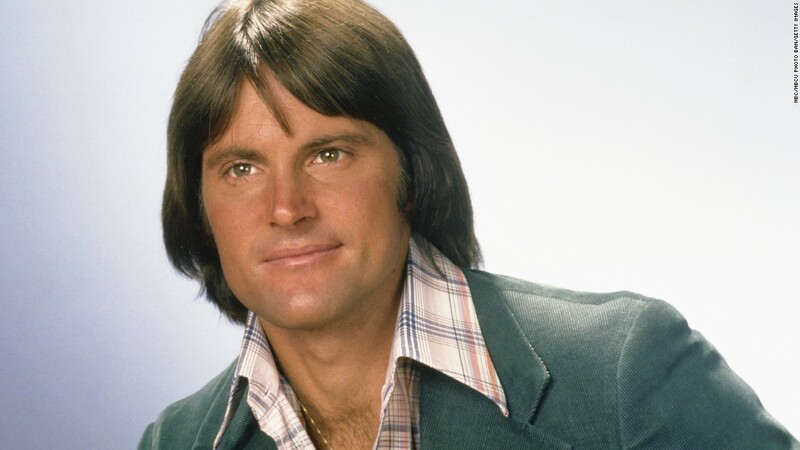 Bruce Jenner killed Kim Howe, 69, along the Pacific Coast Highway in Malibu in a traffic accident in February 2015. Two months later the Keeping Up With The Kardashians star came out publicly as transgender woman Caitlyn. Now a new book, Kardashian Dynasty: The Controversial Rise of America’s Royal Family from Gallery Books, alleges that the former Olympian announced his change from male to female at that time period to avoid manslaughter charges for taking Howe’s life. It was also claimed that for many years, Kris Jenner asked the athlete to ‘pray away’ his urges to live as a woman. PageSix ran a partial excerpt from the book on Sunday. It was alleged in the book, which is from author Ian Halperin, that Bruce was ‘driving at an unsafe speed’ in Malibu at the time of the wreck. That means he could have faced some heavy charges. ‘Before Bruce got into the accident, he gave the world hints about his true sexuality,’ Halperin quotes a friend as saying. And when the June issue of Vanity Fair – which was put together in March – came out, Jenner had captured the attention of the world. The L.A. District Attorney announced in September they would not file charges. In December Jenner settled a lawsuit filed against her by one of the drivers involved in the fatal crash. Hollywood agent Jessica Steindorff claimed she suffered serious medical injuries and lost wages after being hit by Jenner while driving her Prius. Steindorff, who counts Victoria’s Secret model Alessandra Ambrosio among her clients, was driving on a suspended license at the time of the accident. His/her big story: ‘After the accident, he went full steam ahead. I truly believe he was trying to misdirect the negative publicity he received after the car crash….it was clear he was worried about being charged,’ it was claimed; here Caitlyn is seen on the June 2015 cover of Vanity Fair. In January, Jenner settled with Howe’s two adult stepchildren, William Howe and Dana Redmond. The sum was not disclosed. 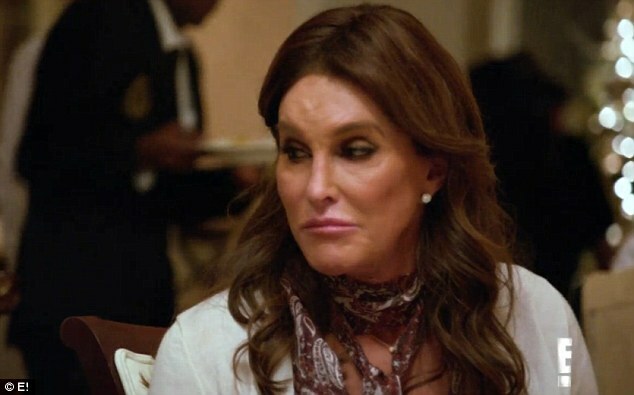 As far as Kris asking Bruce to suppress his urges to became a woman, an NCAA coach who had worked with Jenner said Kris – now 60 – did indeed want Bruce to stay a man. ‘She told him he should pray,’ the source said, ‘that church could help heal him.’ It was added that Kris was trying to do ‘conversion therapy’ with Bruce. They attended bible studies led by conservative singer Pat Boone. He was ‘a fierce critic of any number of liberal causes, from the pro-choice to the gay rights movements,’ Ian added. Kris also went to the Calvary Community Church in Westlake, California, a church ‘long associated with homophobic positions.’ A member of their executive team was fired in 2012 for coming out as gay, it was noted. Brad Johnson, the church pastor, had gotten close to Bruce and Kris as they liked him ‘hip, irreverent style.’ Johnson had been trained by Rick Warren, author of the mega-best-seller The Purpose Driven Life. Warren was also a top proponent of California’s anti-gay-marriage law Proposition 8. But Johnson faced scandal in 2007 when he was accused of cheating on his wife. He tried three times to kill himself and ended up an employee at Starbucks. Kris has said God told her to find Johnson and help him. When she did find him, she helped him start Life Change Community Church. It was ‘dedicated to giving people second chances,’ Ian noted. A church was also started in Agoura Hills, California, and the Kardashian became a part of it. ‘Although Kris was undeniably sincere about her religious beliefs, the church became a convenient prop whenever she or the family needed to burnish their image. After her divorce from Kris Humphries and the subsequent backlash, Kim started tweeting regularly about her church attendance,’ wrote Halperin. And the author added Kim’s romance with Kanye West was created by Kris. Kim also donated money to the church with her ebay sales: ‘The clothes I got will be up on eBay next month for a charity auction! Going to Life Change Community Church! ; she wrote on her site. Kim threatened to sue, Vivid Entertainment – the company that released the tape – said they were operating in the law, and they settled. ‘The so-called lawsuit and press release about Kim’s dismay appeared to be nothing more than an attempt to portray herself as a victim of an unscrupulous thief or Ray J himself,’ Halperin wrote.